Mmm MMM! I love me some macaroni and cheese! In college I could eat an entire box of the stuff in one sitting. I still can. I’d stir in a little sour cream just to make things creamier, as if that was a missing thing. This recipe takes the tried and true mac ‘n cheese staple and dresses it up with a bit of protein and some veggie bits to make a special dish that will tickle the tastebuds. ❤ I’m sure the folks at Kraft would love to know that in my entire life I don’t recall if I’ve ever had any other boxed mac and cheese but theirs. There’s something to be said for a loyal stomach! 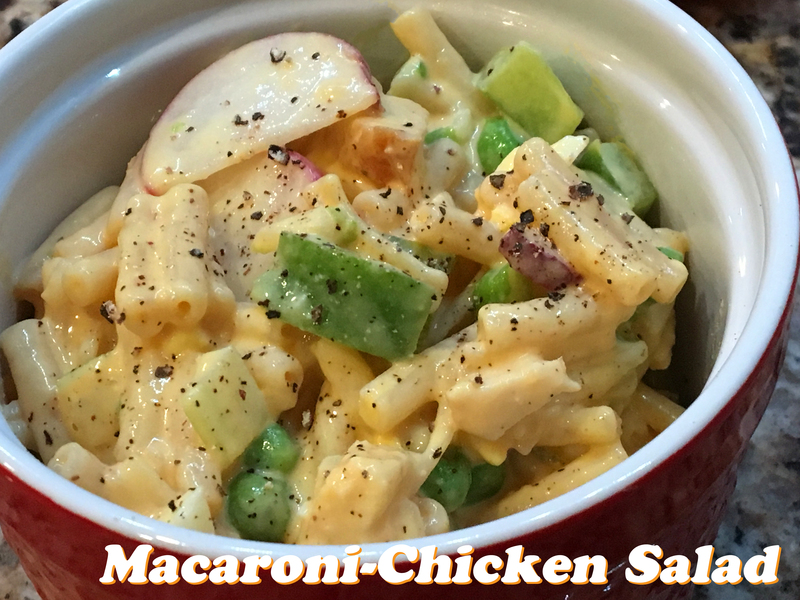 I’ve made mac and cheese from scratch a few times – here’s one of my favorites if you want to enjoy hatch-chicken mac ‘n cheese. It’s out of this world. 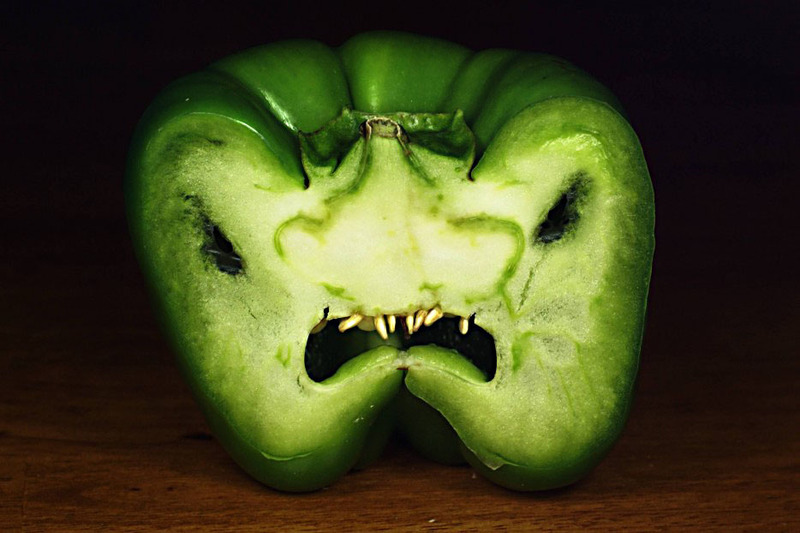 Could it be evil lives inside peppers? On my next slice I’ll definitely have an *extra* knife handy. Just in case. ❤ My dear friend Heather 1,000% percent loathes bell peppers. I don’t quite get her hatred for the lil’ green things. She said the flavor is wretched and it makes her burp. I went online and discovered there is a following a folks who are convinced that “pepper faces” are evil. Hmm… they could be onto something. This one’s for you, Heather! If by chance you fall into the “no-thank-you” green pepper camp, try substituting a can of Hatch peppers – fresh if you can. The smoky heat will warm your heart. And I know Heather loves hatch peppers so all should be good there. ❤ House divided: Joe and I argued whether this dish was better hot or cold. 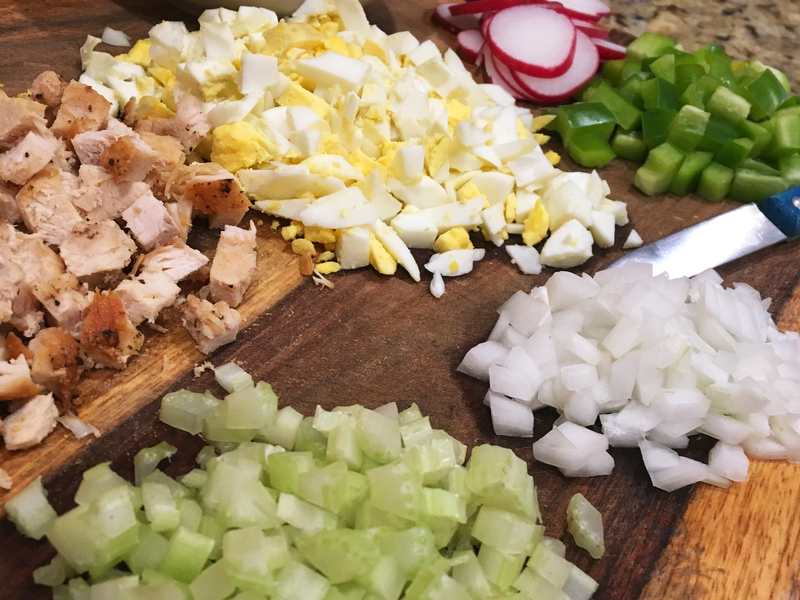 Since I’m the one writing the blog post, I kindly suggest you try it warm first; then chill any leftovers and see if you like the chilled version. Note: There won’t be any leftovers! :) Looks like I win again! 1. 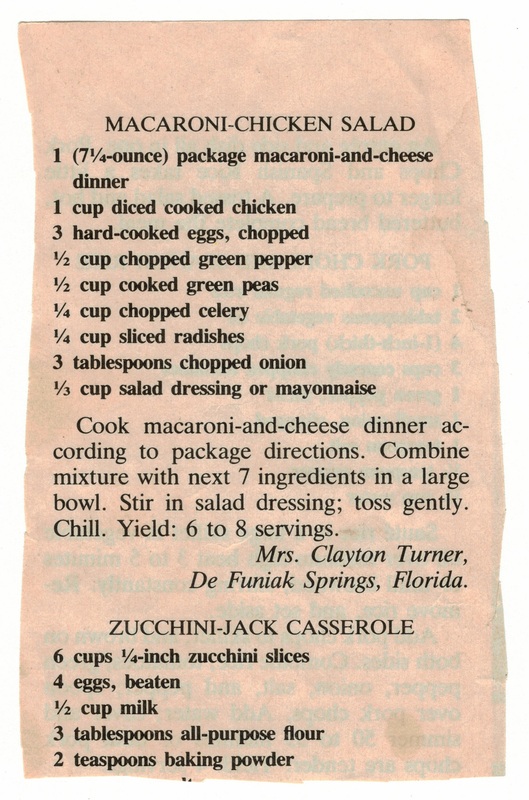 Make your mac ‘n cheese dinner according to the package directions. Please don’t overcook it! Soggy pasta is right up there with wet blankets and warm beer. No thank you! 2. Transfer the mac ‘n cheese to a large bowl and combine in the next seven ingredients. Yields 6-8 servings according to the original recipe… or 1-2 servings, if you enjoy bountiful mounds of food, like me. At 5 cents a servings I’ll eat $2 worth, please. It’s the least I can do! The least. Here in the 2nd commercial a wife is really bummed her husband is coming home for lunch. Sheesh! Maybe he should check the Mac n’ Cheese to make sure it’s not generously sprinkled with Rat Kill! Here we see the Mom’s family is just too busy to stop to eat dinner together. Sounds like it’s 15 minutes for dinner to be ready… and 20 minutes of spankings for all! And there’s plenty more servings of spankings to go ’round!